Back in 2018, Portuguese forward Douglas Aurelio's contract with CF Os Belenenses (Portugal), the club he is still a member of, took effect. Having been born in 1999, on March 27, Douglas Aurelio's age of 20 makes him junior to the average player of CF Os Belenenses. He stands 183cm high and thus is about the same height as his team on average. He did not played any matches this season. 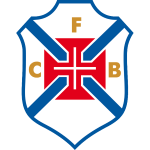 In Primeira Liga (Portugal), CF Os Belenenses is in seventh position. The briefest time Douglas Aurelio's spent on a team counts eight months in his present club. Before joining CF Os Belenenses, he impressed at Sporting Lissabon. Besides Douglas Aurelio, there are twelve more forwards in CF Os Belenenses's lot: Robinho, Henrique Almeida, Ruben Braga, Ousmane Drame, Lica, Diogo Viana, Goncalo Agrelos, Tiago Caeiro, Kikas, Nicolas Velez, Tarzan and Alhassane Keita. At CF Os Belenenses, he is the owner of strip number 80. Two years and 31 days was the maximum period he ever played in a team, which is Sporting Lissabon (Portugal). As for winning percentages, Douglas Aurelio won with CF Os Belenenses simply 20% of their home matches (20% in total) in Primeira Liga. Unfortunately, Douglas Aurelio's team recorded no wins in the last 5 games, registering a loss including 3 draws.